Karen Graf is a former occasional employee at World of Wines. She lives in Redmond and has been part of the Washington wine community for more than 10 years working in retail sales/management and customer relations for a number of area wineries. Karen is driven to provide the best possible customer experience at WoW. Joel Butler is America’s first resident Master of Wine®, the highest certification in the Wine Trade, with more than 40 years of experience in all fields, including over 15 years in retail buying and sales. A published author (Divine Vintage), with years of wine journalism and global wine judging experience as well as making wine in California for 25 years and importing wines from Europe, Joel’s desire to share his expertise is his prime commitment. 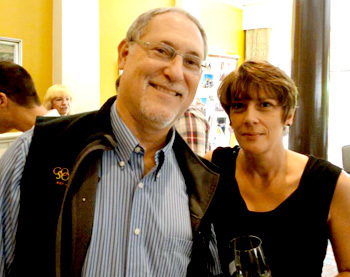 Joel and Karen have been partners since 2010 in their own wine education and consulting business, WineKnow. You’ll see the WineKnow brand around the shop as we host wine events and classes in addition to our regular tastings and wine sales. We hope you will join us – we’d love to hear your suggestions and ideas, so stop by for a glass or a taste soon!